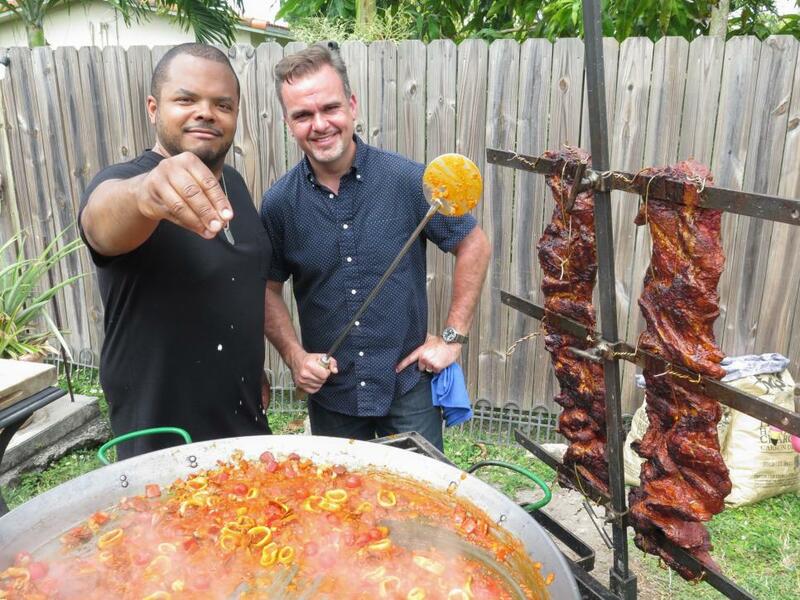 For those who have seen his show “Man Fire Food,” viewers will recognize Roger Mooking as the iconic host of what has become the ultimate look at extreme outdoor or fire/smoked based cooking. Each week Roger introduces us to passionate and inventive outdoor cooking aficionados and an array of epic custom-built cooking apparatuses, from 200-pound sturgeon to whole cows cooked on a massive homemade spit. Roger’s visits give us an insight into the elevated pursuits and extremes that outdoor cooks have developed in their pursuit of perfection. If you’re an outdoor cooking enthusiast, “Man Fire Food” is a “must watch” program. We recently caught up with Roger to discuss the show’s success and rich content. CAM: Roger, your show has become a “must watch” series for anyone who mans a grill. Why do you think your show has become so popular? Roger: Over the course of the last 7 seasons we’ve seen an amazing array of outdoor and flame inspired cooking devices and techniques featured on the show. If you love outdoor cooking, then you’re probably going to like the show. People just love being outside with loved ones. Backyard BBQs have been a longstanding tradition, in fact you could say that tradition may even date back to the most primitive use of fire itself. There’s also something very special about slowing down and taking the time it demands tending to a hypnotizing fire, being immersed in the full experience and getting to eat at the end of that entire adventure. The smells, sounds, sights of nature and breaking the hectic pace that a lot of us live at-it’s needed. CAM: So you think our cooking outdoors is somehow satisfying a primal urge. Roger: When I look back at some of the massive cuts of meat that have been prepared on previous episodes, it does seem like the fire and food is primal and I think we would all have to agree that cooking with wood, coals or heated rocks bridges a gap that is satisfying to those primal instincts. CAM: What can we expect to see in future episodes? Roger: Humans all over the globe have been cooking with fire for many millennia now, and cultures all over the world have different ways of cooking with fire. I would like to explore extending the borders of the show to feature more places outside of the U.S.
Roger: Just to enjoy the whole experience. I think the average Outdoor Cook is a more experienced cook or else they would be a novice indoor cook. It takes a different level of attention to detail and mindfulness to cook outdoors because you have to deal with many other variables like wind, rain, keeping the fire going, how hot or cool is the fire, what are the hotspots, how much wood/charcoal do I need to add at a particular stage, bugs trying to get you, and all sorts of other things that you simply don’t have to worry about in a modern day North American kitchen with electricity and good shelter. Also, use the smoke as a seasoning advantage. You don’t need to add all kinds of stuff if you start with a freshly caught fish, some salt and a bit of good wood smoke; the work is already done, you just have to make sure you don’t get in the way or don’t burn the darn thing. It’s the magic of simplicity. CAM: How do you select the places that we see on the show? Roger: There is a very dedicated but small team of amazing people who find, research and vet all the potential locations for Man Fire Food. The winning candidates have endured hours of interviews and a barrage of questions as exhaustive as possible. The variables are so unimaginable to the viewer and if we all do our jobs right, you have no idea how much work went into what looks so simple on tv. 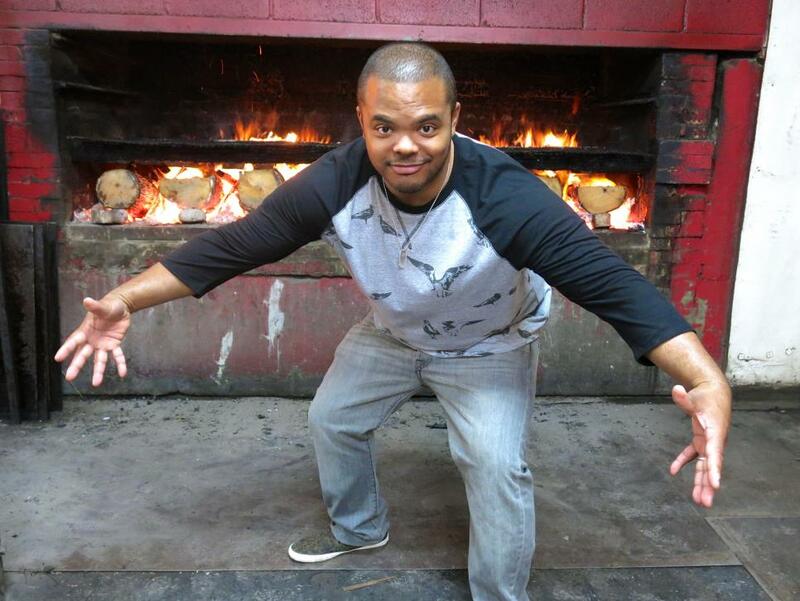 CAM: Man Fire Food’s new season premiers Wednesday November 28th at 9pm on the Cooking Channel.